The Danube delta National Research Institute for Research and Development is divided into three sub-departments: (i) Conservation of Biodiversity and Sustainable Development (ii) Ecological Reconstruction and (iii) Information Systems. DDNI has been nominated Centre of Excellence for Deltas & Wetlands; National Reference Centre for Land Cover and Fisheries; The DDNI is beneficiary within the European Topic Centre on Land Use and Spatial Information (ETC-LUSI). DDNI has participated in several FP4, FP5 and FP6 projects including NaturNet-Redime project. Jenica Hanganu Jenică Hanganu of the Department of Natural Resources, Danube Delta National Institute, Romania holds a Ph. D. in ecological reconstruction of wetlands. His primary experences include survey and mapping of wetland vegetation and wetland soils. Since 1990 he has lead the research studies on sustainable management strategy of natural resources of the Danube Delta Biosphere Reserve. He is national coordinator of CORINE LAND COVER 2000 and 2006 EEA projects and partner within GMES Land Fast Track Service project. Presently he is national coordinator of the ”Nardus” project dealing with inventory of semi-natural grasslands in Romania. Recent works includes research studies on aquatic macrophytes in relation with water quality in lakes within REBECCA EU FP 6 project. Within EnviroGRIDS project he will be involved mainly in WP3 - assessment of the land cover/use changes for different scenarios in the Black Sea Catchment, and WP5 - Impacts on selected Societal Benefit Areas, biodiversity and wetland ecosystems. of the Department of Natural Resources, Danube Delta Institute, holds a Ph.D. in ecological reconstruction of wetlands. His primary experiences include survey and mapping of wetland vegetation and wetland soils. 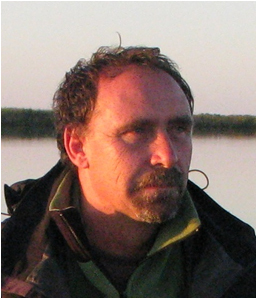 He is responsible with sustainable management strategy of natural resources of the Danube Delta Biosphere Reserve. He graduated GIS and remote sensing course in Amherst Massachusetts University, SUA. Recent experience includes research studies on aquatic macrophytes in relation with water quality in lakes within REBECCA FP6 project. Presently he is national coordinator of CORINE LAND COVER 2006 project within EEA GMES Land Fast Track Service project and national coordinator of the NARDUS project dealing with inventory of semi-natural grasslands in Romania. Adrian Constantinescu has a degree in Electric Engineering. His main research interest is the GIS applications and hydrology modeling with 10 years of experience in hydraulic modeling using Sobek and 15 years in GIS processing and acting as beneficiary in EU projects such as: FP5 “Nutrient Management in the Danube Basin and its Impact on the Black Sea - DANUBS”, “Centre of Excellence - DELWET”, “Corine Land Cover 1990, 2000, 2006” .